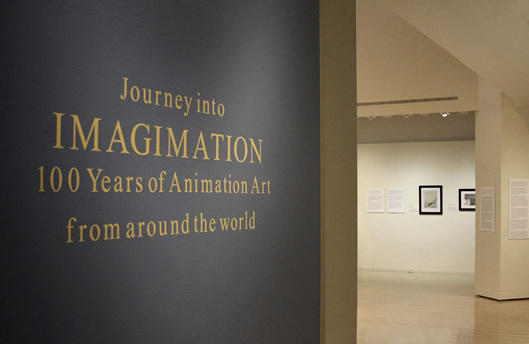 A JOURNEY INTO IMAGIMATION: A Hundred Years of Animation Art From Around the World celebrates the ongoing 100 plus year history of original rare animation production artwork since the creation of this magical art form. This extensive exhibition presents the full range of animation techniques, from the ground breaking traditional animation of Gertie the Dinosaur created by American, Winsor McCay, in 1914, through to today’s many digitally supported animation productions and applications. 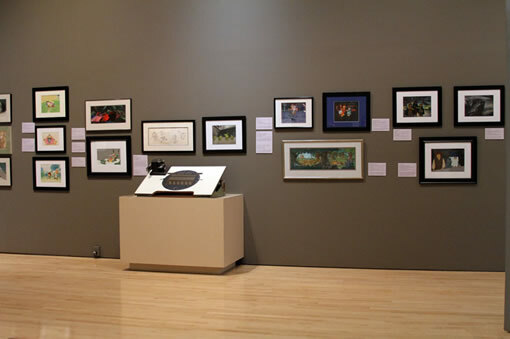 The exhibition premiered at the Appleton Museum of Art. Ocala. FL, in January 2106 and is available for circulation through 2020. 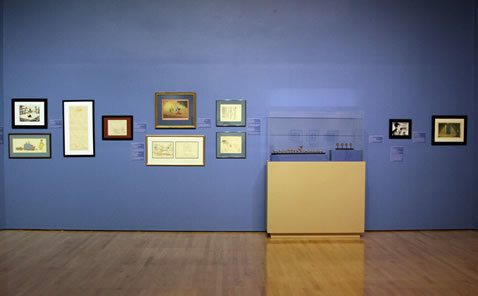 This unique exhibition explores the elaborate and demanding creative processes of many of the groundbreaking animators. 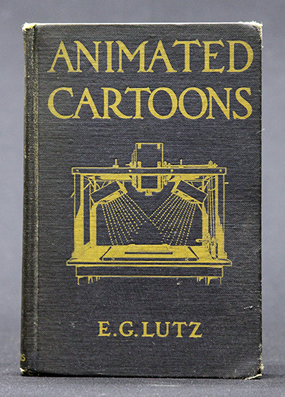 It also highlights the incredible amount of work and talent that went into animated productions for over a century. Featured are: the amazing silhouette experimental animation of German animator Lotte Reiniger; the magical hand carved wood replacement stop motion animation of Hungarian animator George Pal; the world renowned creation of Mickey Mouse by Ub Iwerks and Walt Disney; the incredible visionary work of King Kong’s creator Willis O’Brien; the genius life like character stop motion animation of Ray Harryhausen; the zany gag driven traditional animation of Tex Avery; Chuck Jones’ wacky and unconventional and now classic traditionally animated characters and situations; and Hayo Miyazaki’s absolutely stunning and colorful Japanese fantasy anime visions; and many others. 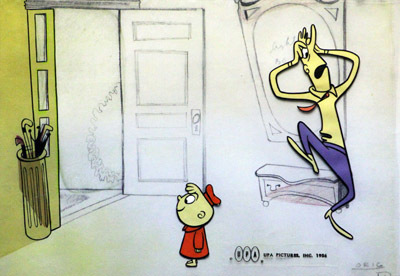 Much of the early animation artwork was either destroyed or recycled. Saving or preserving it was rarely considered, since these pieces were created to be filmed for only one fraction of a second of exposure to the camera. One of the primary reasons for this is that in the early years of movie going, animation was considered a humorous novelty, regulated just to be used as filler before the main film, or created just for children’s amusement and produced as a product. 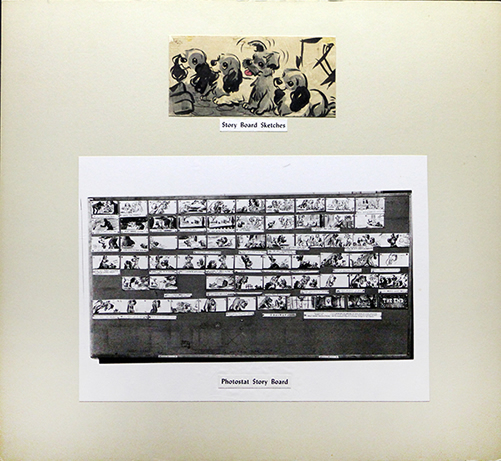 Some studios saw the potential of making some additional money from these productions and the artwork was either sold to the general public or art dealers. Eventually the scholars, animators and studios began to look at this wonderful animation artwork and realized that it needed to be saved and preserved. Now, with the resurgence of animation used internationally by all walks of life from apps to games to television to feature films, animation in all its forms is truly a universal language. 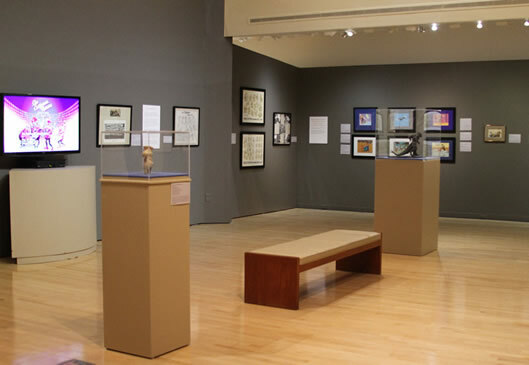 This exhibition has been collated from the vast 29,000+ piece original international animation art collection preserved over several decades by animation historians and pro-fessionals Hal and Nancy Miles, founders of the Animation Hall of Fame. 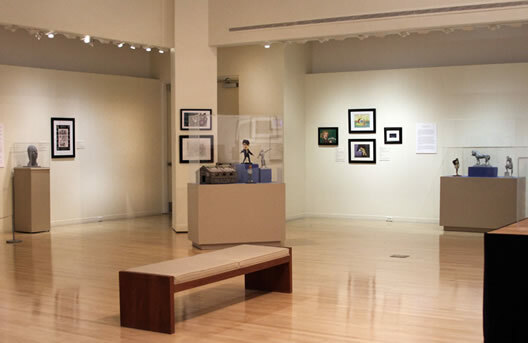 The JOURNEY INTO IMAGIMATION exhibition is now available for scheduling through 2020. Please call or e-mail for loan fees and to schedule dates. "IMAGIMATION" is a registered trademark of the Animation Hall of Fame, Inc.
of the Evolution of International Animation. 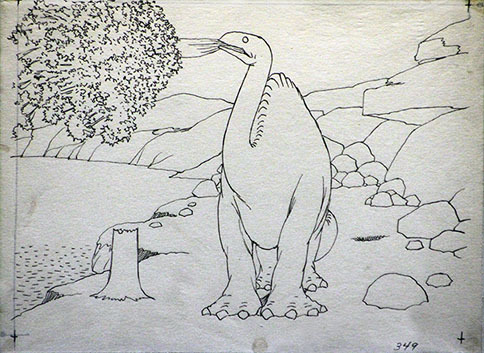 An original animation drawing from Gertie the Dinosaur (1914) by Winsor McCay, considered the first widely viewed, groundbreaking short. McKay astonished audiences by showing the extinct “great monsters that used to inherit the earth” in action. The Adventures of Prince Achmed (1926) is considered the first fully animated feature film in the history of the world. 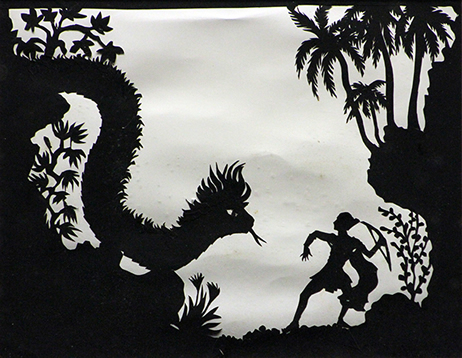 This extremely rare and only one in the United States paper cutout scene was created by German born Lotte Reiniger in her signature silhouette stop motion animation style. 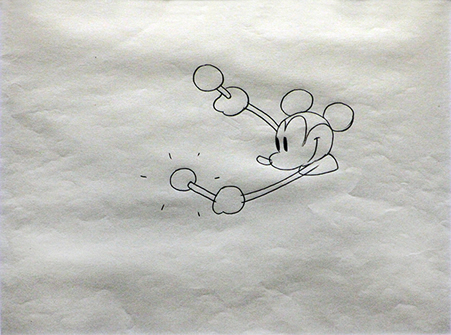 An extremely rare animation drawing of Mickey Mouse in Walt Disney’s groundbreaking 1928 short Steamboat Willie was the first animated short to use sound. Mickey Mouse is probably the most iconic character in animation history. 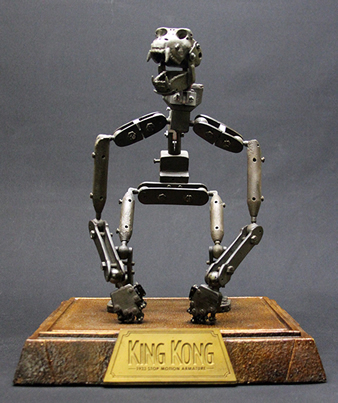 King Kong Puppet Armature; this 1933 film by Merian C. Cooper featured pioneering visual effects and stop motion animation by Willis O’Brien that brought the great ape to life. 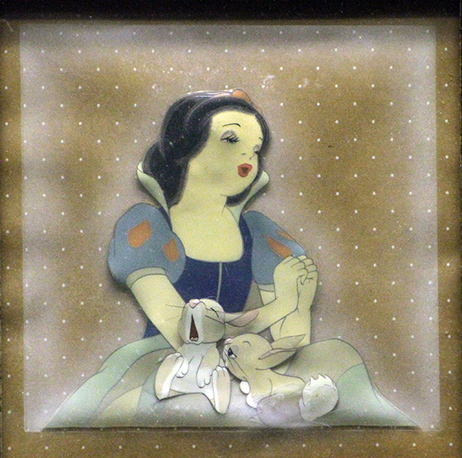 An original cel from Snow White and the Seven Dwarfs (1937), which was the first color and sound feature animated film that garnered Walt Disney Productions an honorary Oscar. The film was directed by David Hand who also oversaw the day to day studio operations of Walt Disney Productions. 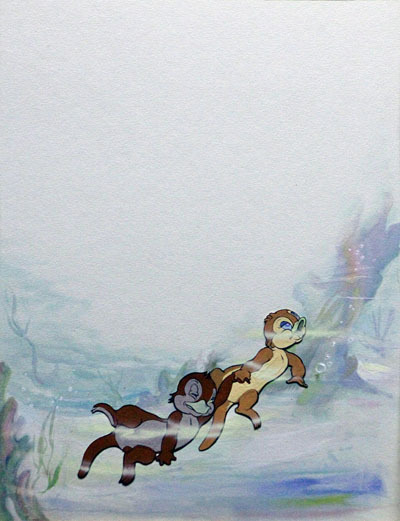 An original David Hand's Animaland Platypus (1948) animation production painting, from the Animaland cartoon series starring Digger and Dinkum Platypus, which he was hired to create by industrialist, J. Arthur Rank, who also hired him to create Gaumont British Animation the UK’s & Europe’s largest animation studio. An original cel from Gerald Mc Boing Boing (1950) based on an original story by Dr. Seuss of a boy who could only speak through sound effects instead of the spoken word. It is considered the finest cartoon created at U.P.A. 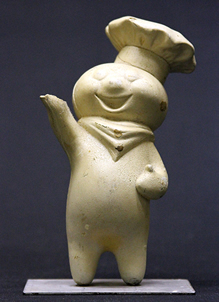 and won the 1950 Academy Award for Best Animated Short. 12 Disney Studio High School Animation Career Boards (1963). 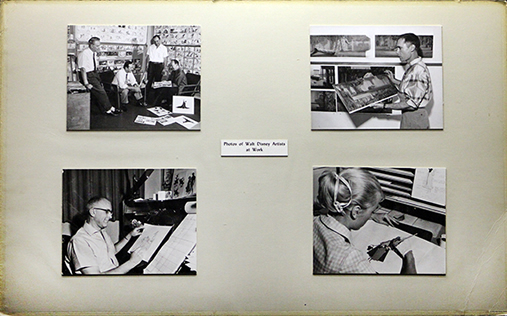 A “how it’s done” collection of original animation pieces and photographs spanning approximately a 10 year period at the Walt Disney Studios and used to educate interested high school students to pursue a career in professional animation. Mary Poppins (1964) was Walt Disney’s crowning achievement in entertainment production, which encompassed everything that had been developed technically and artistically throughout his career. 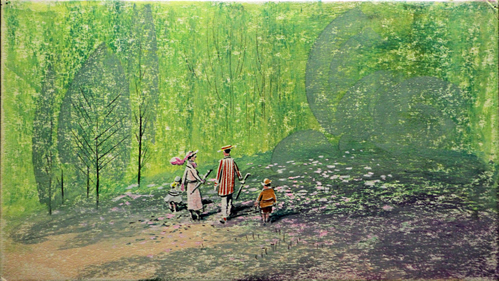 This original storyboard drawing of Bert, Mary Poppins, Jane, and Michael is an example of the high quality of artistic creation and love that when into this magical production; garnering it five academy awards..
Poppin Fresh -The Pillsbury Dough Boy maquette (1965) is the first sculpted version of this iconic television commercial character that was originally created in stop motion animation. An original cel from Allegro Non Troppo (1976), a spoof of Walt Disney Productions Fantasia, the masterpiece of Italy’s legendary animation director Bruno Bozzetto. Tron (1982) was technically an extremely groundbreaking film, and not just for the computer animation scenes that was created for it. This Kodalith cel was created and then backlit with colored gels under an animation camera to give the look that we see in the film. A Fat Albert cel on Original Background (1984) from Fat Albert and the Cosby Kids. This popular series was the creation of comedian Bill Cosby based on his remembrances of growing up in inner city Philadelphia. The 1987 Gumby Adventures; These original clay animation puppets of stars Gumby and his beloved sidekick Pokey where the enduring creations of Art Clokey. 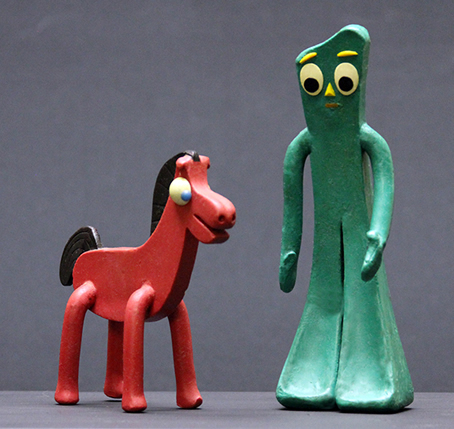 Adventurist Gumby and common sense Pokey were influential cultural icons of television and film. 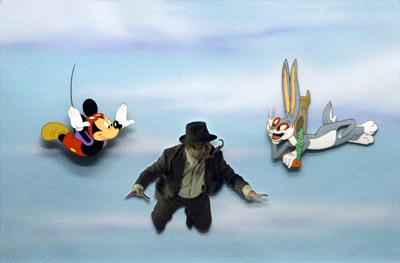 This one of a kind original multiple cel animation and background from Who Framed Roger Rabbit (1988) is the only movie or cartoon ever where Mickey Mouse and Bugs Bunny appeared together. It also contains the star of the film, the late Bob Hoskins. 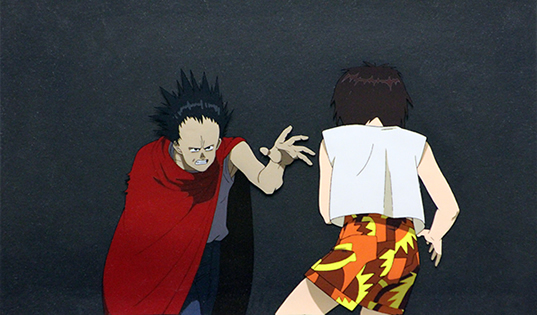 A cel of Akira from the 1988 film Akira by Kaatsuhiro Otomo. 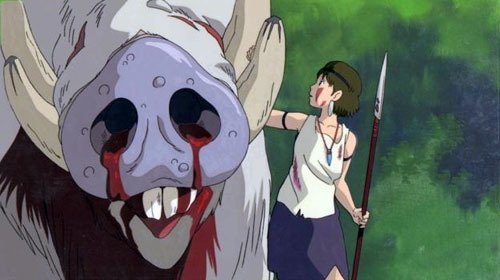 It was the first worldwide acclaimed across-all-cultures anime film. An original cel from Bart the General, Episode 5 of the first series of The Simpsons in 1990. The Simpsons is the longest running scripted animated sitcom in television history and con-sidered one of the greatest TV series of all time. 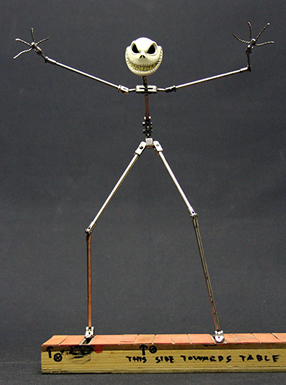 The Jack Skellington puppet armature and original Christmas Town set from the 1993 stop motion animation cult classic Tim Burton’s The Nightmare Before Christmas. An original cel and background from Hayo Miyazaki’s Princess Mononoke: The Spirit Princess (1997) which garnered him world attention and devoted fans. It is said that he oversaw each of the 144,000 cels in the film, and that he redrew parts of 80,000 of them. 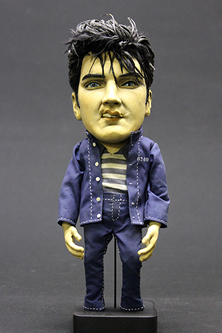 The stop motion puppet of Elvis Presley was used in 2000 in a Lipton Brisk Ice Tea commercial. Singer and movie star Elvis Presley “The King” is one of 20th Century’s most notable icons. Shrek (2001) is loosely based on William Steig's 1990 fairy tale picture book Shrek, which the film rights were purchased by Steven Spielberg for his newly formed DreamWorks Animation. Shrek became a worldwide success also winning it the very first Academy Award for Best Animated Feature. 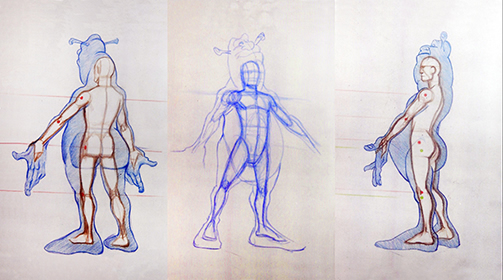 These are the original Motion Capture Turn-around Concepts for the Shrek character and actor Mike Myers who voiced and acted out the character. They were used to establish Shrek’s center of motion based around Mike Myers human anatomy.